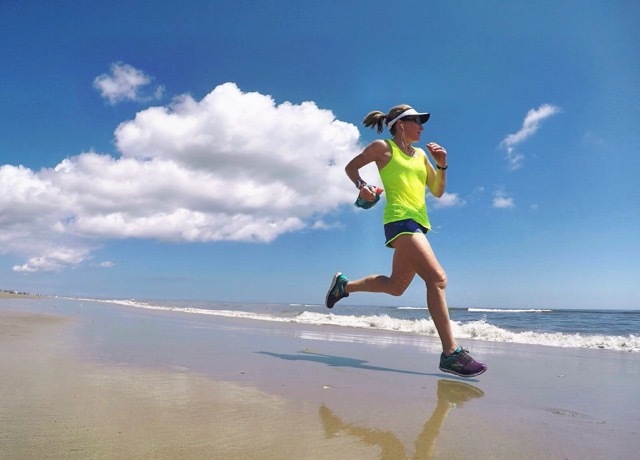 It’s hard to believe that I just completed the 4th week of my 16-week Run Less Run Faster (affiliate link) training cycle for my OBX Half Marathon girls’ weekend getaway to celebrate my big birthday! 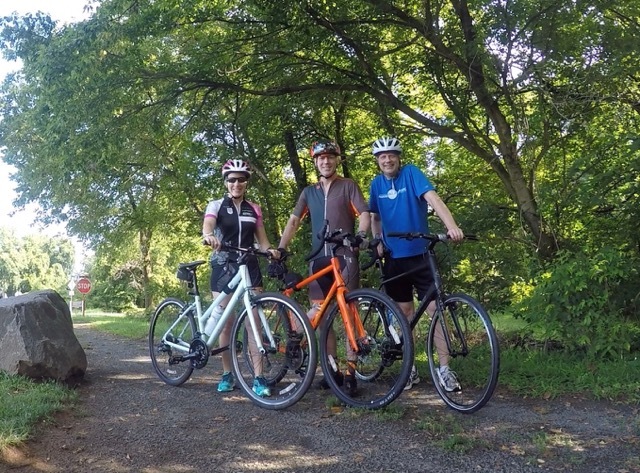 Since Joe was on a time schedule he turned to ride home, while Bill and I rode on to the end of the W&OD Trail. 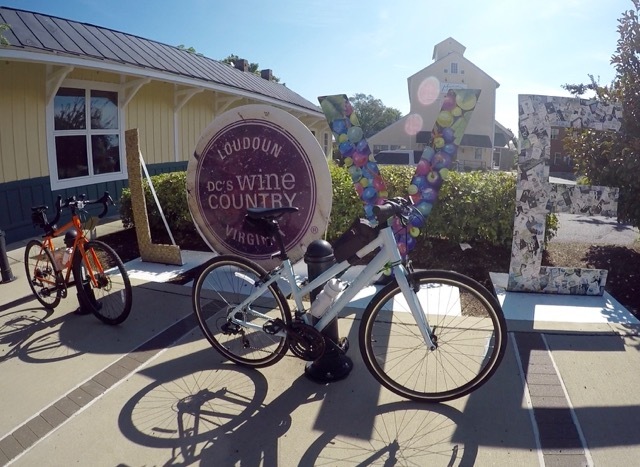 In keeping with the Virginia is for Lovers theme, there’s a LOVE sign touting Loudoun County’s vineyards. You can’t tell from the picture, but the L is made out of corks. With my first client appointment starting at 7:30 on Tuesday mornings, I’ve had to adjust my track workout start time. 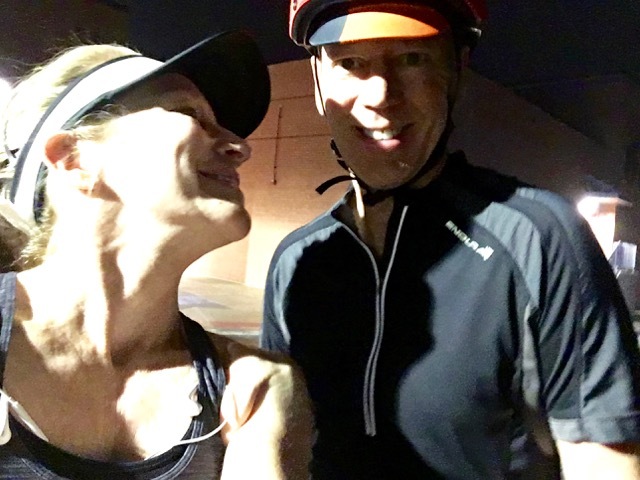 My friends arrive at 5:30, but I really need to be warmed up and starting my first repeat by then, so on Tuesday Bill rode his bike alongside me as I ran to the track (this picture says it all about how I feel about him being so sweet and looking out for me). We switched over to one of the local high school tracks after last week’s goose poop debacle and a friend mentioned that one of the gates was indeed open around back at that particular high school track. On my training plan for the day was 5 x 1000 with 400 meter recoveries, preceded and followed with a 1-mile warm-up and cool-down. My goal pace for the repeats was 7:30 and I completed them at 7:20, 7:25, 7:30,7:27, and 7:23 average paces – it must have been the delightful track surface and lack of goose poop that made me hit my paces. Since it was a little longer getting to the track than I anticipated (2 miles versus 1), I cut my recoveries back to 200 meters and then rested a minute while grabbing a drink of water. If you notice in the picture below, my tank is on all crooked and twisted because I’d just put it back on. I ran on the track in just my jog bra, something I haven’t done in ten years, but put it back on before I ran home. I felt great after my workout and got home with just enough time to change into dry clothes and get to my first client on time. My client load has increased significantly lately and I see my first person at 6:30 on Thursday mornings and go straight through until noon. 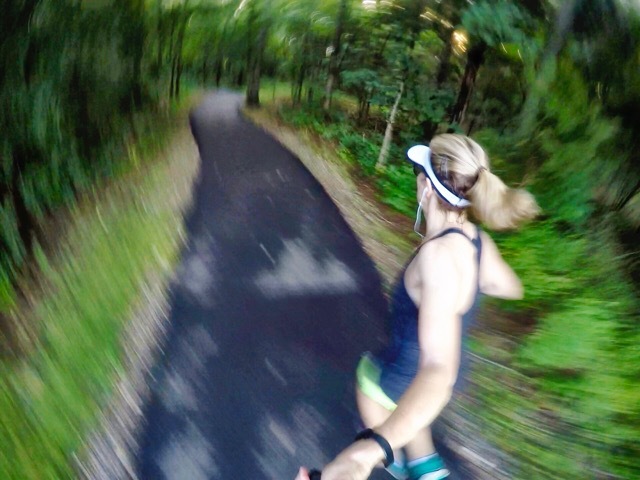 So for my Thursday morning tempo run I had two choices, go on my tempo run Wednesday morning only 24 hours after Tuesday’s track repeats or go Thursday afternoon in the heat of the day. I chose Wednesday morning. My plan called for 5 miles total with a 1-mile easy warm-up, 3 miles at tempo pace of 8:13, and a 1-mile easy cool-down. Even though I wasn’t running in the heat, it was very humid and my legs were still tired, so I struggled hitting my paces, running them at 8:39, 8:15, and 8:46. 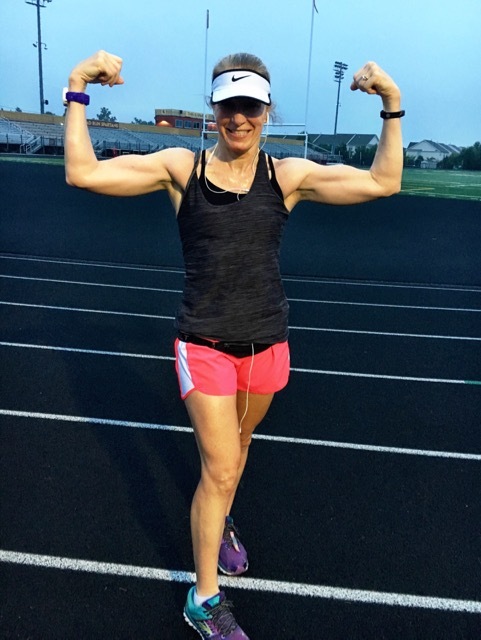 I completely mixed things up yesterday and ran my next week’s track workout on Saturday, saving my long run for today, hoping to meet a friend. Meeting my friend didn’t workout out for a few different reasons, but mainly because she’s running her long runs at a 9:30 pace and my target pace is 11:00, though I’m hitting my long run pace closer to 10:30. Anyway, I headed out yesterday at low tide leaving the house at 10:30 AM in the heat and humidity, and with no shade… My plan called for 3 x 1600 meter repeats with a 1-mile warm-up and a 1-mile cool-down. My goal pace for my repeats was a 7:40, but I hit them at 8:04, 7:54, and 8:24. I know the sand, heat, and humidity affected my performance so I’m not beating myself up over it. Looking ahead to this coming week on the blog, I’m sure I’ll find time to post about running on the beach at least once this week, especially if I run the Lighthouse 5K on Wednesday. 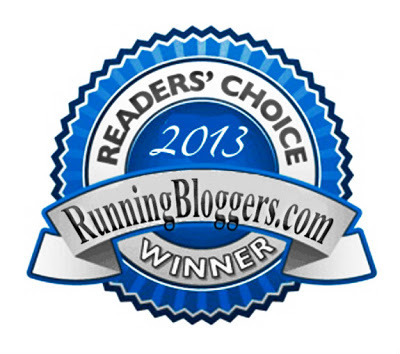 I already have my Runfessions linkup with Marcia ready to post on Thursday evening so stay tuned for that. Have you ever run on the beach? Looks like you had a great training week. Your paces on your track repeats are impressive! I love working out on vacation. I enjoy running on a path along the beach, but not the sand! When I run at low tide on the packed sand I notice very little difference in the surface, but if the tide starts coming in and I have to run in deeper sand, oh boy, do I feel it! Sounds like an awesome week of training to me! I once had a half marathon where the last .1 was on the sand – I was not amused, lol! Oh wow, I would hate that, especially if it wasn’t on packed sand at low tide. Great week of workouts! Your track repeats were on point! Yay for goose poop free tracks. I usually end up working out on vacations. I scale back unless I’m in the full swing of training season though. Thanks, Sara! When we’re at the beach I have plenty of downtime to exercise since we’re not doing touristy things and going on excursions. When we went to Italy, I didn’t exercise at all because we were constantly on the go trying to fit in as much sightseeing as we could. The LOVE sign is just around the corner at the end of the W&OD Trail. It’s right there, but totally easy to miss if you don’t take the few extra steps around the end of the old train station. Those arms of yours are AMAZING!!! I rarely workout during vacation. I’m more about relaxing and having fun. 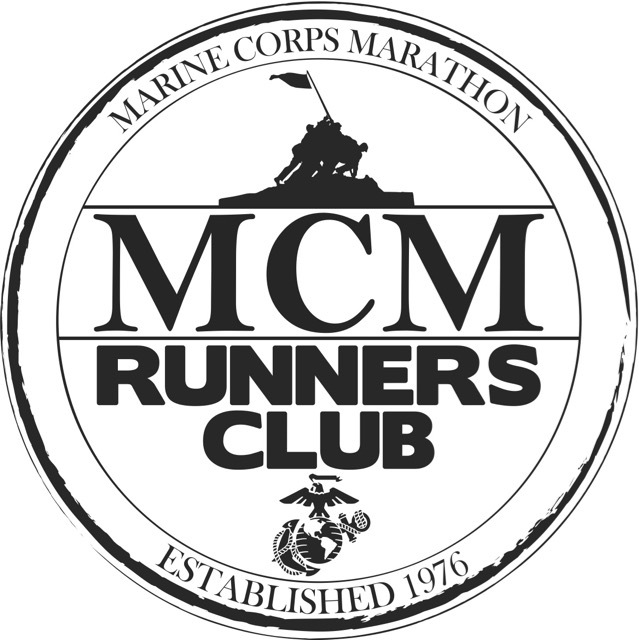 Zenaida recently posted…Dry scalp, race discounts, and classroom setup. Thanks, Zenaida! I got lucky with good genetics, but I also push them hard when I workout. 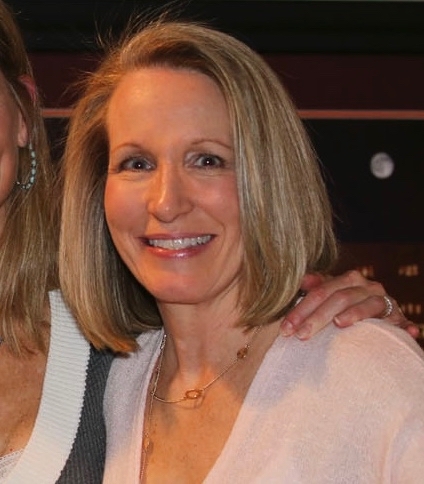 Love seeing your beach pictures – you are going to rock your half, Debbie! Glad you found an alternative track. Your training looks on point. It’s hard to hit exact paces, especially when the weather conditions are so varied. So are we! We just assumed that the track was locked since Loudoun County pretty much locks all of their tracks. I just ran on the beach last Friday sans shoes and it was definitely a calf workout! Isn’t it amazing how much your calves have to work in the sand? Years ago I ran on the beach without my shoes, but these days my feet wouldn’t like it. Heck yaaaa it was a good week! and look at your muscles 🙂 Rocking the strength! You make 60 look amazing! Are you sure that’s your number??! Thanks, Shathiso! Hard work and good genetics (my dad was very muscular) pays off. Have fun on your vacation! Congrats on your new 5K trail PB. I hope you recap your race so I can read all about it! The OBX half and girls weekend sounds like the perfect way to celebrate a birthday! There is no way I could run on “our” beach. Too fluffy. Just FYI…all of your pictures decreased in size as I read your blog and then eventually disappeared. Weird?! Funny you should ask about running on the beach – I was on vacation in Mexico this summer and my daughter really wanted to run with me on the beach. We got up at sunrise (to avoid the heat!). We wore our shoes, because I think it’s much more stable that way – calf muscles really get a workout with no shoes on! Anyhow, after about a half mile on the beach we both agreed we could get back to the sidewalk instead of the beach run! It’s really challenging!! Love your beach picture. So pretty! !